Welcome to the Diva Coffee Break Designs Team Challenge #228! This is such a busy time of year with school finals, graduation ceremonies and weddings. 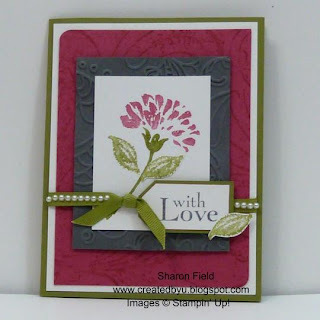 Maybe it's time for you to take some time out for yourself, maybe a Stampin' Break? 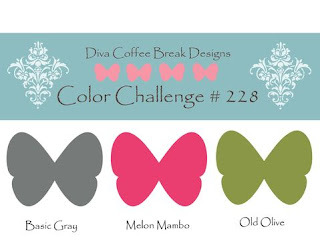 Well, this week we have a fabulous color challenge for you, Basic Gray, Melon Mambo, and Old Olive! Come and play along with us! 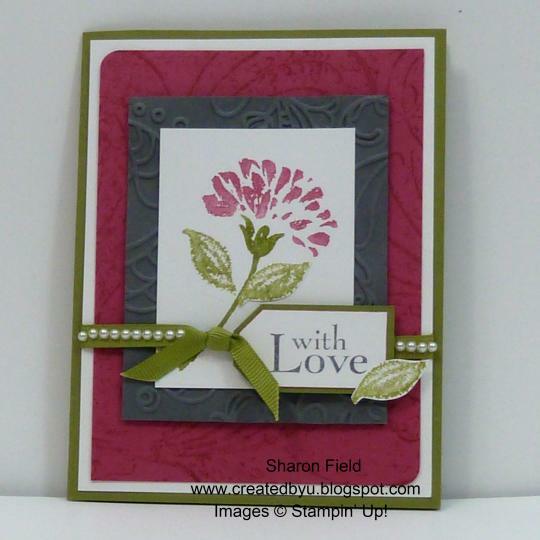 I love the beautiful, beautiful samples from the design team! !